In the golden Hollywood era, Eddie Mannix (Josh Brolin) is Capitol Pictures' works hard to cover up all of the studio's scandals. As if dealing with disgruntled directors and blood thirsty gossip columnists wasn't enough, Mannix faces his biggest challenge of all when the studio's biggest star, Baird Whitlock (George Clooney) is kidnapped for a $100,000 ransom. The Coen Brothers return to write, produce and direct yet another superbly silly, dead-pan comedy. With an all star cast, Hail, Caesar! pays homage to the golden age of cinema and to the Coen's themselves, as filmmakers. 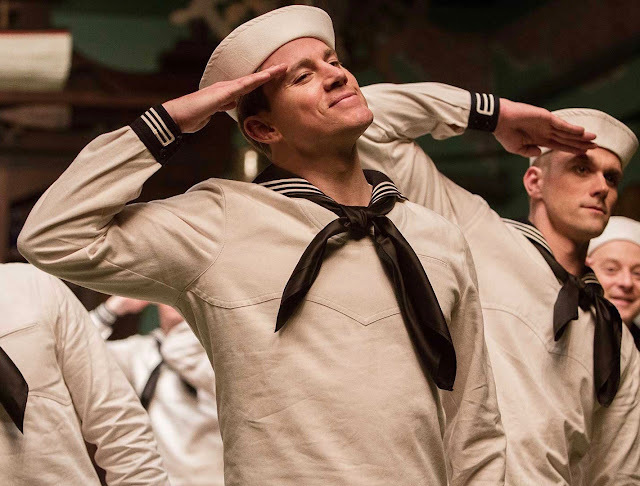 The amusing knockabout set in 1950s Hollywood, welcomes the return of Coen-cast veterans; the likes of Frances McDormant, Clooney, Tilda Swinton and Brolin, but it also welcomes some new faces in the form of Channing Tatum and Scarlett Johansson. The narrative follows Eddie Mannix, Capitol Pictures' leading PR expert and "fixer" who works to keep Hollywood's star scandals out of the public eye. With a leading lady, DeeAnna Moran (Johansson), unwed and pregnant and the studio's biggest star, Baird (Clooney), kidnapped by communists whilst filming the expensive picture of the year, Mannix must pull off the mother of all cover-ups before the press can scoop up the story. We open to Mannix in the confessional in the early hours of a rainy morning. It’s been 24 hours since his last confession and he expresses his guilt to the priest, having lied to his wife about giving up his smoking habit. However, there is no rest for the wicked and it is just a few hours before Eddie is back at the studio. A subplot to the narrative is Eddie's battle with himself, tempted by a once in a lifetime job offer whilst devoted to the hectic surroundings of the movie industry. Although this plot does not distract from the main spectacle, it certainly allows Brolin to showcase his talent. Past all the silliness, above all, Hail. Caesar! 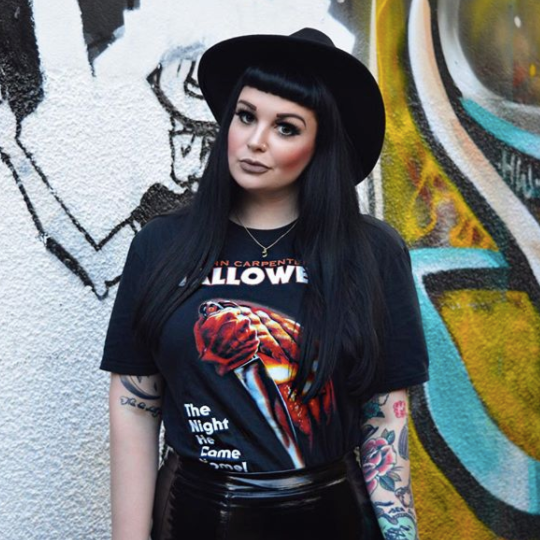 is a love letter to the movies and a salute to the underbelly of the bygone, Hollywood era. 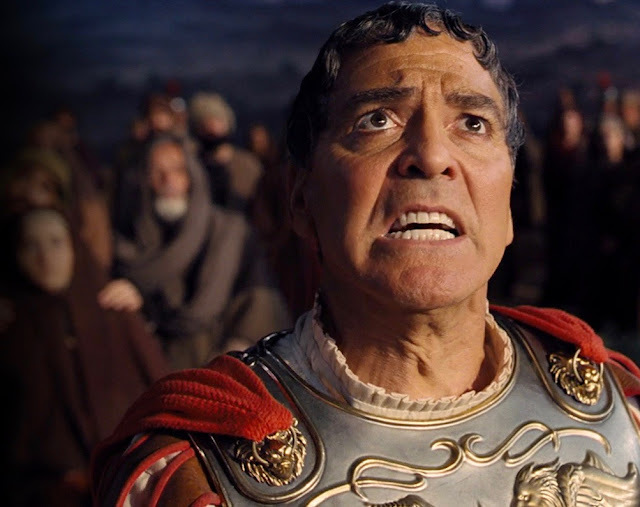 As with any Coen Brother's title, Hail Caesar! is likely to divide spectators as it features a series of bizarre, almost dream-like sequences showcasing Hollywood's quirky choreography, colourful set design and exaggerated musical numbers. 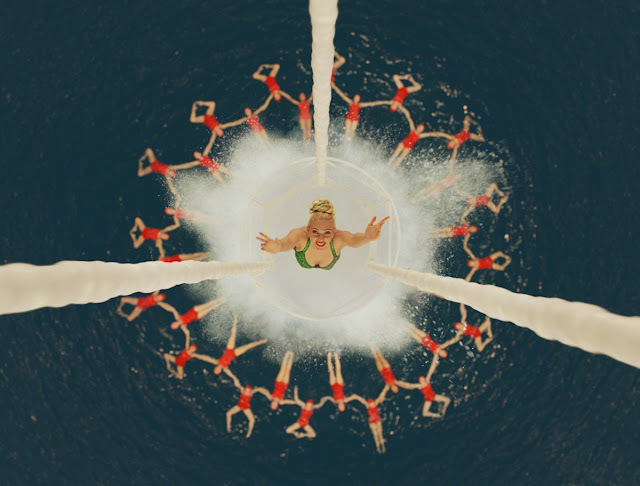 Depicted through the Coen Brothers' unique sense of humour, the narrative takes place in Hollywood in 1951. The film industry, aware of the looming threat of television, responds with mass production of escapist romance narratives, musical spectaculars and biblical epics and, off-set, it creates fictional narratives for the gossip columns. In true Coen fashion, this is met with both surrealism, an all star cast, a dark sense of humour and stunning cinematography. As with all Coen features, the cast have been carefully selected and at no point do they disappoint. Brolin, Swinton, Clooney, Ralph Fiennes and even Johansson offer excellent comedic performances as caricature representations of the classical Hollywood era. One critique, however, is that there is a lot of characters to keep tabs on, so much so that perhaps that spectators do not get to know them on any real level. The film itself is very similar to Burn After Reading (2008), in which there is a lot going on, but with very little actual plot. In fact, at times, it feels that only character who is fully explored is Josh Brolin's Mannix. Nether-the-less, as an audience, we are never left feeling unsatisfied amiss the chaos of it all. Overall, Hail, Caesar! is a triumph following the Coen's previously underrated picture, Inside Llewyn Davis (2013). With an outstanding cast, spectacularly silly humour, classic Coen editing and stunning visuals, Hail Caesar! gets a Sophie star rating of 4 out of 5 stars. Did you catch Hail, Caesar! at the cinema? What's your favourite Coen Brothers movie? As always, I love reading your comments so please do leave them down below. ive not seen this yet but the cast looks great and i really must watch it now! I'm definitely going to be seeing this because I just can't resist a Coen brothers film. My favorite film from Joel and Ethan is still Fargo. I like their newer offerings but nothing beats the way all of the storylines collided in spectacular "wtf" fashion like they did in that Minnesota winter.